Large social events can be exciting but we need to be aware that they take a lot of planning. Therefore, it is important that we engage in an event management company to ensure the planning goes smoothly. However, after all the preparation is done, it is equally crucial to ensure that the entire activity has minimal hiccups. It is the duty of an emcee to ‘guide and chaperone’ the event and its audience so that the event is orderly. They can keep the entertainment of an event on schedule and direct the attention of the crowd. 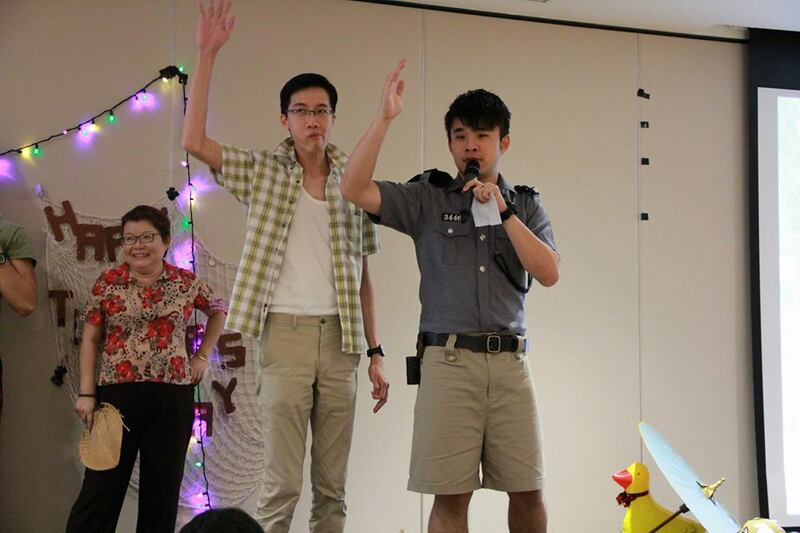 Emcee Wayne Chew specialises in using his skills to hold the event together, while keeping your guests entertained. Wayne Chew is a professional bilingual emcee for weddings, corporate and community events, dinner and dance, and birthday parties. Regardless of the size or type of events, he is able to engage the crowd in a lively and entertaining manner, and deliver a memorable event experience. Being fluent in English and Mandarin also enables him to be versatile when engaging both the English and Mandarin-speaking audience. 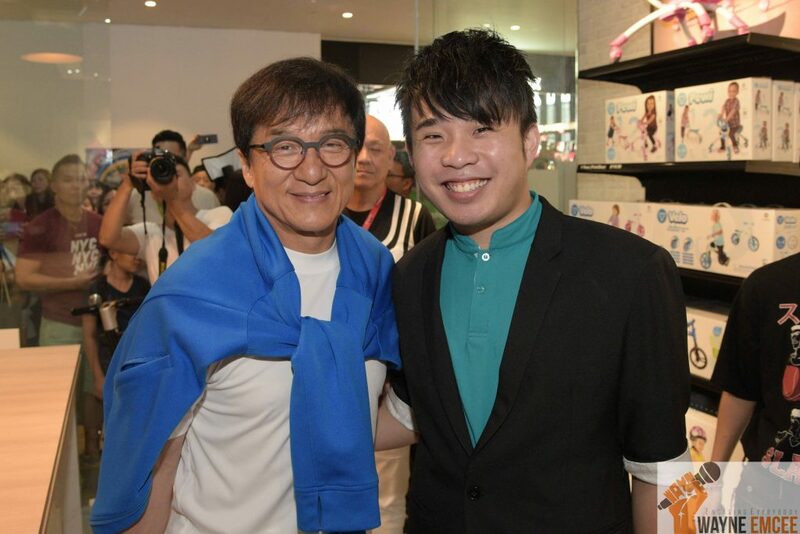 Of these events, the most memorable for him was the opening of Gogreen Holdings’ shop where the Guest-of-Honor was famous actor Jackie Chan. Although there were guests who flew in from China, he was able to host the event smoothly using both English and Mandarin. Gogreen Holdings was also impressed with the way he put across the product’s messages and how he was able to make the guests feel at ease. Wayne started this business in 2014 after leaving the teaching service. Before becoming a full-time emcee, he was hosting weddings for friends and school events, and received many praises for his stage presence. Being a professional emcee was a career he felt he could excel in. More importantly, he is able bring joy and a memorable experience to others. It is crucial to engage a professional who will be able to engage your audience for big events such as events. Many people requests their friends or family who lack experience and will only read from the script. However, it is not recommended when it comes to once-in-a-lifetime events. Being an ex-MOE Chinese teacher, he is effectively bilingual. 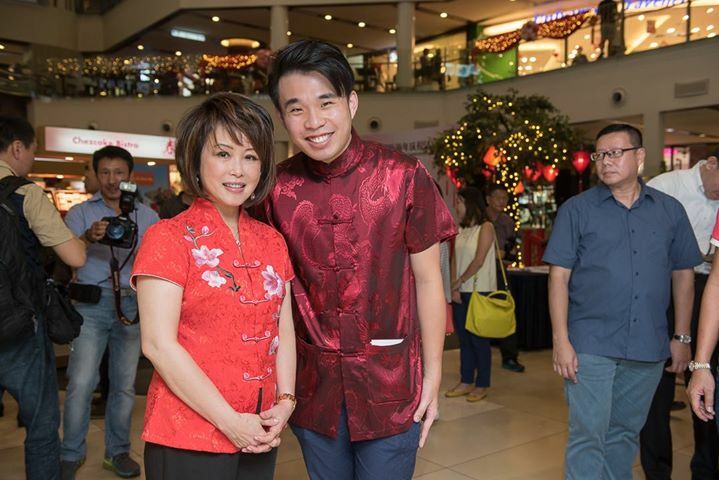 In addition, winning the Mediacorp Radio Station Love 97.2 FM’s Joker King competition is also a testament to his ability to make jokes that are entertaining without being offensive. Furthermore, what makes him stand out is the quality of service he provides for his clients. He would provide a free consultation session for couples a few weeks before their wedding to advise them on how to make the program more interesting, and the things to take note of before the wedding. Hence, the clients can relax and have a good time at their wedding. 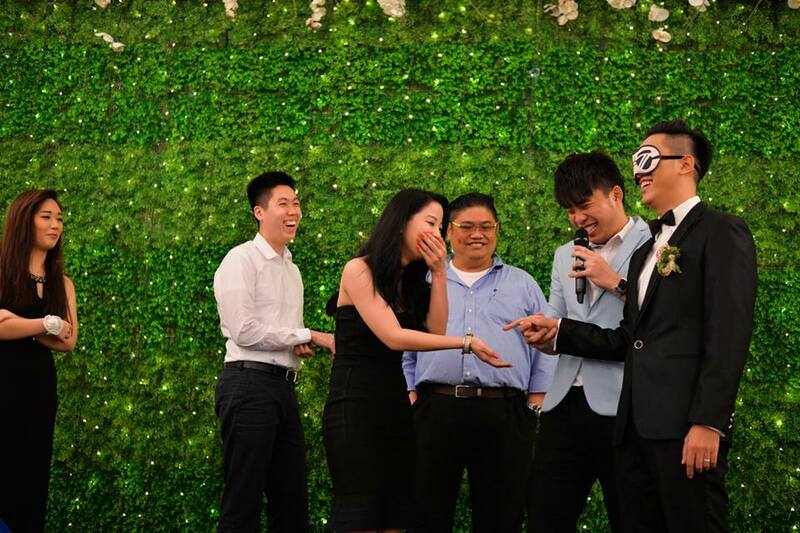 Ultimately, Wayne hopes to be one of the top wedding emcees in Singapore and continue to provide affordable and quality hosting services to his clients.